Delivering additional carbohydrates during exercise is known to improve performance, race times and delay the onset of fatigue; while protein contributes to the growth and maintenance of muscle mass. GO Energy + Protein Bar can be used during exercise to meet fueling requirements, before endurance exercise as a high carbohydrate, high protein option or as a daily snack to meet carbohydrate and protein requirements. Fruit juices from concentrate 26% (Grape, Pineapple), Cereal 26% (Rice & Soya Crisp [Rice Flour, Soya Protein Isolate, Oat Flour, Rapeseed Oil, Salt, Soya Lecithin], Oats), Maltodextrin (from Maize), Dried Fruits 20% (Raisins, Apricots), Soya Protein Isolate (10%), Banana, Malic Acid, Emulsifier: Soya Lecithin, Humectant: Calcium Lactate, Flavoring. 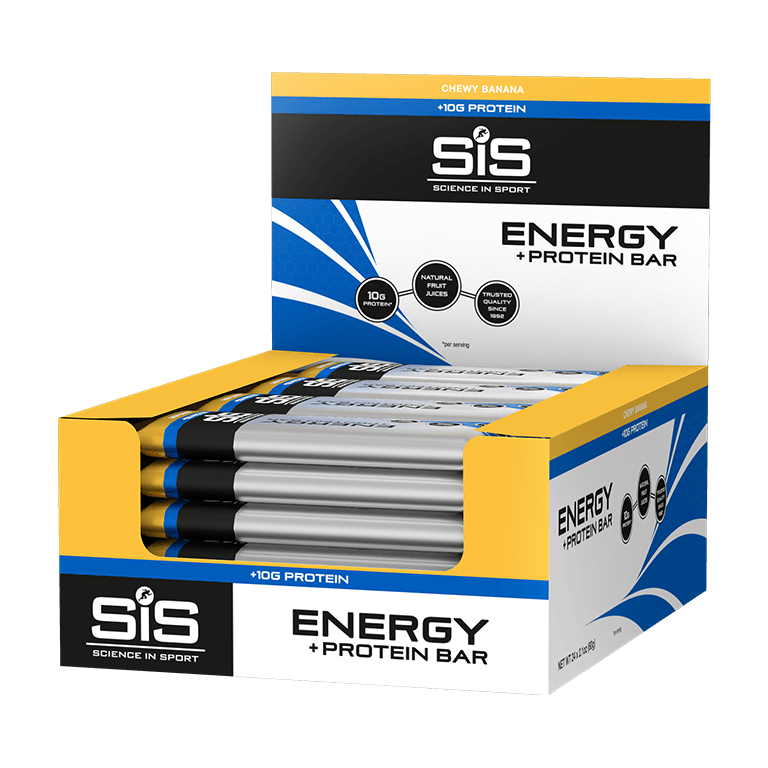 Yes, Science in Sport GO Energy + Protein Bars are tested under the Informed Sport program.